Parents love their Dyson vacuums and now, kids can love their toy versions, too. There's good news for little ones who want to vacuum the house just like mommy and daddy. Cadson, a British toy company, makes pint-size model Dyson vacuums that actually have suction and make realistic vacuum sounds. But while parents may joke about the benefits of having their toddler help with the housework, some moms caution the toys are hardly as efficient as an actual Dyson. Katie Wright, a Maryland mom, says her 3-year-old daughter, Elle, received a toy Dyson last Christmas as a gift. "I’m obsessed with my Dyson so someone thought the tradition should be carried on I guess," said Wright, adding that the while the toy is cute, it's not as durable as her own beloved Dyson. "It's loud and ours won't stand up on its own. The little wind tunnel thing stopped working eventually and it says 'real suction' but ours never did it. Perhaps we just got a busted one and I should have returned it." Phil Cassidy, joint managing director at Cadson, says the toy was never intended to work exactly like a Dyson, despite being a tiny model of the popular vacuums. "We have made Dyson replica toys for 18 years and they are amazing sellers," Cassidy told TODAY Home in an email. "All of them have working suction but are only designed to pick up small bits of paper or polystyrene balls. They all do this with no issues. If we were to improve this suction, it would not pass toy safety regulations or would be too expensive for a toy. Children love to copy their parents, we facilitate this in a very realistic way." 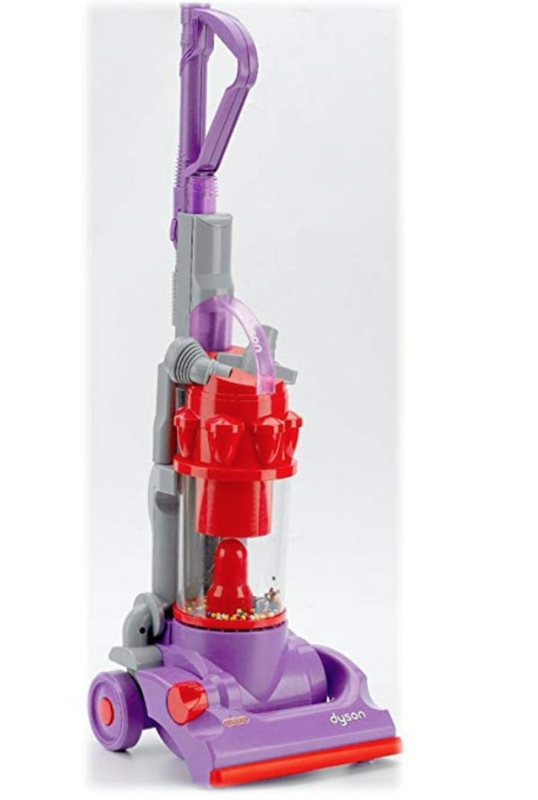 Cassidy says the company currently manufactures four different versions of the toy: two stand-up models, a canister vacuum with hose and a miniature cordless vacuum. 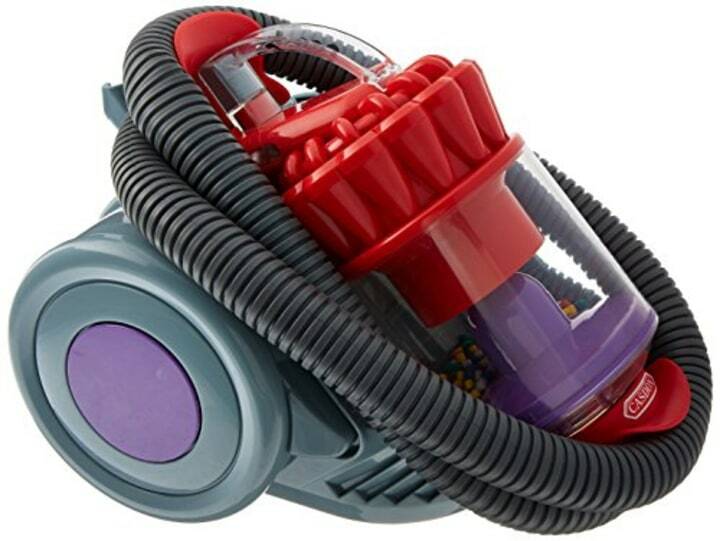 The spinning beads that float around the vacuum's central core were designed by Cassidy's father in 1997 to replicate the appearance of dust spinning around inside a real Dyson. TODAY Parenting Team contributor Nadine Bubeck says her 5, 3 and 1-year-old sons love their toy Dyson, regardless of its suction power. 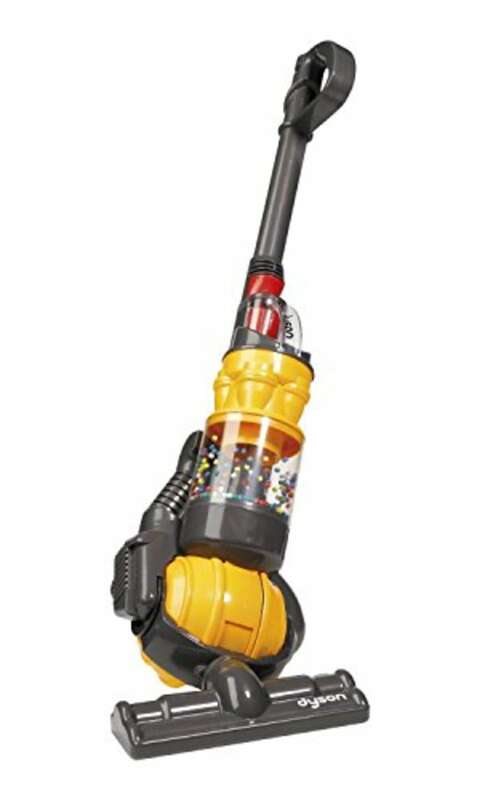 "My kids love this vacuum because it's just like mine," said the Arizona mom. "It doesn't suction a ton, so if you want actual help with cleaning — just give your kids a mop and let them go to town."